UPDATE: Aug. 22, 12:55 a.m. ET: Atwood's column is back on the National Post site with some edits. Post senior vice-president Gerry Nott told The Toronto Star that the column was removed to complete "necessary fact-checking." 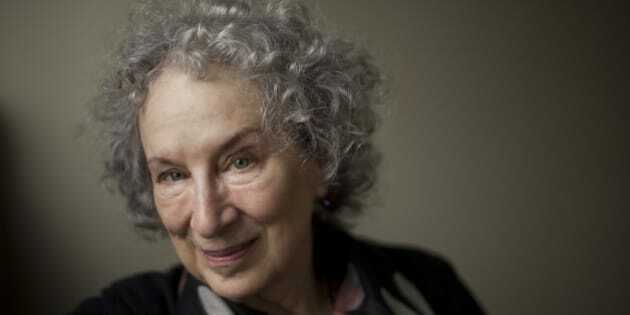 But Atwood said she was puzzled because she had submitted the composition to editors nine days ago. OK, that was tiring for a gnarly old biddy like me. Will delve further into #hairgate in the morning, no doubt. 3:25 p.m. ET: Canadaland reportedly has more details on why the post was pulled and reposted. TORONTO — The National Post has apparently removed a column by Margaret Atwood that pokes fun at Stephen Harper's hair, prompting many to criticize the newspaper on social media. Hundreds of posts on Twitter accused the Post of censorship of the prominent Canadian author. Atwood's tongue-in-cheek column, available through a Google cache search, jokes about Harper's hair and criticizes Conservative attack ads for attempting to demean Justin Trudeau with the phrase, "Nice hair, Justin." Atwood tweeted the National Post on Friday afternoon asking if she had been censored for what she called a "flighty little caper on hair," drawing hundreds of retweets and responses. The column was posted shortly before 2 p.m., but was unavailable on the Post's website barely an hour later. The hashtag #hairgate began trending nationally on Twitter by evening as users questioned why the newspaper's website would remove a humorous column related to the federal election campaigns, particularly one written by a prominent Canadian writer. OK, Deep Throats rumour is that the Hair piece is being "evaluated" by "leadership."
. @MargaretAtwood is being parsed more carefully tonight than in the entire history of CanLit studies. The editor-in-chief of the National Post did not immediately return a request for comment Friday evening.